Learn new ways to offer rewards to your kids that don’t involve food to still encourage healthy choices at meal and snack time! Parents who struggle with picky eaters often hear that if they offer healthy foods, avoid using pressure tactics, and act as positive role models, their kids will eventually eat their veggies. But what happens when this doesn’t work? 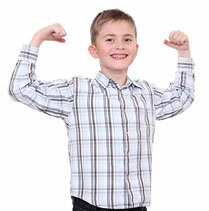 Is it okay to offer a reward to your kids for trying healthy food? Does rewarding healthy choices with stickers and verbal praises work? The short answer is YES! What does the research say about non-food rewards? A recent research study found that when parents offered their kids the same fruit or vegetable on several occasions and gave them a small, tangible reward for tasting it, the kids consumed more of the new food and were more likely to learn to like it (1). What’s even better is that the children continued to like the new foods months after the rewards stopped. A UK study examined the effect of rewards on vegetable liking and intake among children aged four to six, and found that kids who were exposed to vegetables with a sticker reward showed the biggest improvement in vegetable intake, followed by exposure with verbal praise (2). 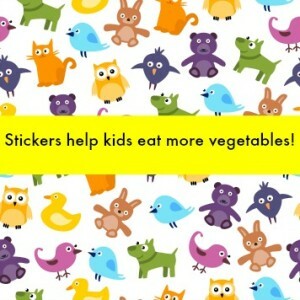 Both verbal praise and stickers had equal improvement among children in liking vegetables (2). Another study found that parents, schools, and supermarkets could offer fruits and vegetables in a more fun and visually appealing way to help increase childrens’ intakes (3). Why shouldn’t you use food as a reward? Although non-food rewards may help increase your child’s acceptance of fruits and vegetables, it’s never a good idea to use food as reward, especially desserts. Try offering a sticker, an extra story at bedtime, or a small toy instead. You can even set up as a challenge, such as, “Whoever takes one bite of their broccoli and sweet potatoes gets a piggy back ride across the living room.” If you have a chart, give bigger prizes for reaching goals such as eating 4 colors a day of different healthy foods. Have fun tracking your colors with the Super Crew color tracker. Great prize ideas include a family day at the park or a new family board game. Kathleen Keller, Ph.D, assistant professor at Penn State University, who specializes in the study of children’s health and development, agrees that there is a shift in thought about incentivizing healthy choices. Previously, it was thought that rewarding children for selecting certain foods would undermine the child’s innate desire for healthy foods and inhibit them from making healthy choices on their own when no reward was present. It was believed many children would naturally enjoy certain foods even without a reward, and that providing a reward tarnishes their natural enjoyment of healthy foods. This belief is still held by some, but it’s being overridden by new studies showing that non-food incentives may work. Your kid doesn’t like vegetables, so how can you change that in a healthy way? Whether the old beliefs about incentivizing food choices are true or not, most children don’t have a high preference for vegetables, especially green vegetables, so offering an incentive can help increase the child’s likelihood of choosing them. Since children are not inclined to choose vegetables on their own, rewarding kids for choosing them should not devalue their inherent liking of vegetables. 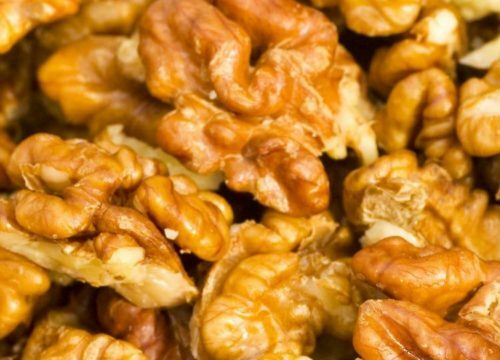 Over time, non-food rewards may lead to an increase in vegetable intake. The research on using incentives for vegetable intake is new, so there aren’t best practice recommendations yet. What are the best ways to encourage kids to try new foods? To encourage kids to try healthy foods, parents should offer a wide variety of foods starting at an early age, and enjoy family meals together. Sometimes it can take up to 16 exposures before a child will accept a new food. If you notice your child avoiding certain foods or food groups, you can use anything that your child enjoys as a positive non-food reward. 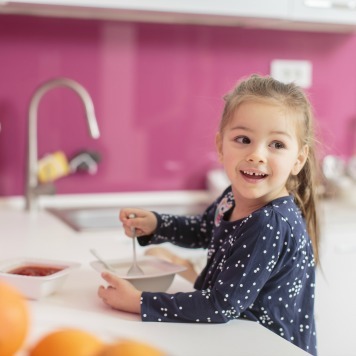 Get creative and make healthy eating fun with these top 10 ways to encourage healthy eating behaviors with your family! Gibson, E.L., et al. A narrative review of psychological and educational strategies applied to young children’s eating behaviours aimed at reducing obesity risk. Obesity reviews. 2012. Web. Oct 28’ 2014. Cooke LJ, Chambers LC, Anez EV et al. Eating for pleasure or profit: the effect of incentives on children’s enjoyment of vegetables. Psychol Sci 2011;22: 190–196.